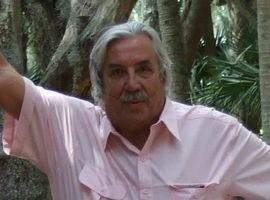 Bill Schmitt is the Executive Director of The Science Center of Inquiry in Fountain Hills Arizona. Stu Schultz is the Director of Physics Pharm Consulting in Boyne City Michigan. Both educators have many years of experience presenting workshops for The National Center for the Advancement of Stem Education. They also have extensive experience with interactive distance learning. Their goal is to combine these talents to improve STEM education. Bill's career includes over 26 years of experience as Education Director and Vice-President for Education in two Science Museums: The Center of Science and industry (COSI) in Columbus, Ohio and the Pacific Science Center in Seattle. He served as a leader in the development of several nationally renowned efforts including being the founder of the Camp-In concept for Museums. He directed numerous programs including outreach van programs and teacher development efforts. He also produced the development the Galaxy Classroom K-5 Science Curriculum funded by Hughes Aircraft Company. Galaxy became a Systemic Reform Model that documented highly significant learning gains, especially by those students considered at-risk, as measured in an independent controlled evaluation by WestEd. In his current role as Executive Director and Science Partner of The Science Center of Inquiry he is helping merge experiences from formal and informal education to develop and distribute inquiry-based STEM investigations that help improve achievement by all students. In his position he works with school systems to help teachers reform science learning and improve student performance. Bill has also written curriculum and provided extensive teacher development for NCASE (The National Center for the Advancement of STEM Education). Through these efforts, all students are invited to be active partners as young scientists and engineers in awesome and inspiring adventures to investigate and understand Nature. Stu is an award winning science teacher with over forty years of classroom experience. He retired in 2004 but was asked to return to the educational community in 2006 to become a lead trainer for NCASE, the National Center for the Advancement of Stem Education. 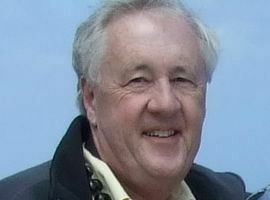 He has done numerous teacher training programs in STEM education across the United States including Alaska and Hawaii. Stu is also one of the few classroom teachers with five years experience doing Distance Learning on national satellite TV. He taught "Space, Time and Spirit" as the ninth grade course on "Tune In Math and Science" from Kettering University in Flint Michigan and Michigan State University in Lansing Michigan. "Space, Time and Spirit" was developed in the late 1980's as an integrated ninth grade science course for West Bloomfield Schools in Michigan. It was chosen by "Tune in Math and Science" in 1990 and used on national satellite TV until 1995. Stu is now updating "Space, Time and Spirit" and will present it on STEMON.TV in the future.